Obituary disaster! I write this letter so as to inform the public of the great inefficiencies we experienced with The Times of Malta. My beloved father passed away last Sunday 27th April and we placed the obituary notice in The Times of Malta for publishing on the 29th April, the day of the funeral which was to be held at 2pm. Much to our disbelief we received a distressing phone call on the day of the funeral at 8am bringing to our attention that the obituary stated the funeral was to be held the following day. 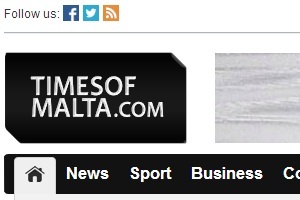 The Times of Malta had REMOVED the date of the funeral, rightly submitted as the 29th April and replaced the latter with the word tomorrow. As a work around they agreed to publish an advisory note on the 30th April which we accepted, however we requested that they broadcast the notice across the a local radio stations to confirm that the funeral was in fact happening that same day at 2pm. The Times of Malta agreed to broadcast on one radio station and we finally were able to focus on the other pre-funeral arrangements. The nightmare was not yet over – at 11:30am we receive another distress call from a neighbour, who happened to be listening to the radio obituary announcement, stating that the commentator announced the funeral HAD TAKEN PLACE THE MORNING of the 29th. A second unexpected blow! I was incredulous – my Father’s funeral was positioned as the most disorganised event of the century. The situation was unsalvageable. The day following the funeral – when The Times of Malta published the obituary notice confirming the mass had been held on the 29th – we had people leaving us sympathy letters in the letterbox and yet another string of distressing phone calls from friends who had missed the funeral due to the several erroneous announcements. I sincerely hope that nobody ever need endure this added grief to an already challenging and painful moment as the death of a loved one.